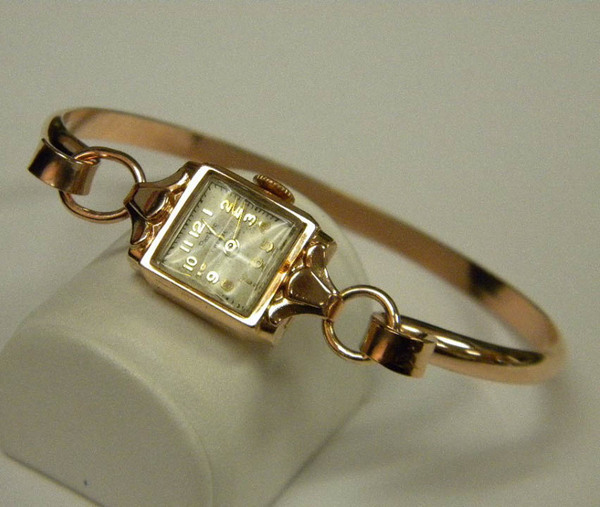 A simple rose gold antique watch, originally on a stretch band, is transformed into a stylish bangle with the watch as the clasp. The bracelet is rose gold filled. Very jewelry trendy right now!